The Editorial Team of the Newsletter of the Faculty of Medicine of the University of Lisbon (FMUL) interviewed the new president of the Students’ Association of FMUL (AEFML) – Miguel Almeida – We tried to ascertain his expectations and motivations in his 2012/2013 term of office. What are the AEFML’s main challenges, projects and activities for 2012/2013? Without disregarding its origin, the AEFML comprises a group of students who aim to represent and defend the interests of all colleagues, helping to ensure the quality of medical education in a faculty that accounts for about a quarter of medical students in Portugal. In addition, we are proud to work so that all colleagues have the opportunity to have extracurricular training, thus contributing to their professional, personal and cultural development. With regard to new projects, some of them are based on ideas of medical students’ international associations, while others result from internal reflection about the needs of FMUL students. As for our facilities, we can mention the renovation of the Editorial Unit of the AEFML and the rebuilding of the toilets in the Students’ Room, long in need of improvement in terms of shape and contents. 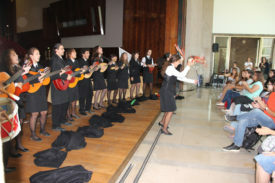 The cultural department started the Chill-Out Sessions, which take place in the Students’ Room on a regular basis. The scientific department is organizing the MedPharm congress in partnership with the Faculty of Pharmacy of the University of Lisbon. Moreover, the Car Sharing project was brought over from the International Federation of Medical Students’ Associations – IFMSA. The Closer Medicine project aims to promote health at a distance and is also highly appreciated by our colleagues. With regard to Pedagogy and Medical Education, the latest project was the Workshop of the Course Committees, which promoted the exchange of experiences and working methods among them. These are some of the major projects for the 2012/2013 term. Still, I recommend everyone to read our Plan of Activities to better know all our projects and their main goals. What are, predictably, the main obstacles to overcome? Given the challenges we set ourselves, many obstacles arise, some of which are common to all students. However, some of them are specific. We are currently witnessing a paradigm shift in the role and position of doctors in Portugal. Nothing can be taken for granted now, and doctors are viewed as having an unknown future, for which most of us are unprepared. Therefore, these changes, namely budget cuts and changes in the medical internship are our biggest obstacles. These changes require us to constantly adapt and work in order to respond promptly to problems. For this reason, we believe it is urgent to amend the current syllabus and create new opportunities for undergraduate and postgraduate training. It is necessary to allow our colleagues to acquire new skills that effectively prepare them for the current competition in the job market. All these needs for change also apply to our inner functioning. We wish to maintain the quality and diversity of the education offered to colleagues. This requires a growing number of partnerships and logistic and financial resources. However, our country is increasingly less open to these situations. This forces us to seek new ways and go further in the search for partners and funds. Finally, we need to break the ice and leave the pedestal on which we have stood for a long time. We must get closer to other realities and join other students, doctors and competent entities in the fight for a better future. This is a change that requires the commitment of all, changing mindsets and creating new opportunities. How would you characterize the involvement of FMUL students in the initiatives and activities of the AEFML? In recent years, the Boards of the AEFML have promoted the increasing quality and diversity of activities and projects undertaken. As a result, the involvement of colleagues in our activities has grown consistently and has become more critical and constructive. Accordingly, we find it motivating to think of conducting new activities and further develop existing ones, since we know we can count on the proactive participation of our colleagues. On the other hand, interest in participating in activities has been coupled with interest in organizing them. Presently, there are former extra-DAEFML colleagues helping us carrying out some projects. This term we have seen a growing number of students interested in, and committed to, Pedagogy and Medical Education. This fact supports the direction that the AEFML has taken recently and encourages us to keep this line of action. The future of health and higher education in Portugal are very sensitive topics for our colleagues, which requires the AEFML to have an attentive and informed stance to give them the best possible academic route. 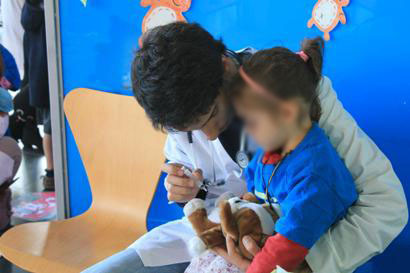 Regardless of the fact that these activities are aimed at many or just a few, it is with great satisfaction that we see, for instance, more than 800 colleagues signing up for the Hospital for the Little Ones, or a Suture Course with 24 places and about 350 applications. In addition, this magnitude also gives us greater responsibility with regard to maintaining the quality of our activities. In order to do this, we count on everyone, and everyone can count on us. How would you characterize the relationship between AEFML and FMUL and with the Lisbon Academic Medical Centre (CAML)? As a student of this academy, my story is that of any student of FMUL, with a great institution that came my way – the AEFML. This means that before I knew what AEFML was, any student who has the honour of sharing the same faculty with us is in contact with the great Santa Maria Hospital and the noble Faculty of Medicine of the University of Lisbon. This is what I try to think about every day. Our house, the home of the AEFML, only makes sense if the students it represents feel that the institutions that offer them so much knowledge are their main allies, at all levels, in their training and development. The relationship between these two institutions – AEFML and CAML (indeed, without wishing to take away this role from FMUL, it only makes sense to talk of the Lisbon Academic Medical Centre if the Faculty of Medicine is one of its pillars) is synergistic, and I hope it remains so. The mutual help and complementarity among institutions can only benefit the people who work in them and depend on them. A reflection on this: the users of a Central Hospital benefit from an institution where, inherently, high level research is conducted. The doctors who work there (most of them lecturers at FMUL) take advantage of the curious minds of those who look out for them and for their example, which translates into a challenge for continuing updating. The students, who are the professionals of the future, are (numerus clausus permitting) where they can “soak up” updated knowledge and obtain the experience and practice that are essential to maintaining the quality of the NHS. Therefore, it is crucial to uphold the extremely important link between medical students and the CAML. All this culminates in a relationship that we preserve according to unbreakable synergy and loyalty values. What different things can students expect of this new leadership of the AEFML? Students can expect of the AEFML what is expected of any Students’ Association, that is, partners in the quest for better education and a more active academic life. Accordingly, our colleagues should expect to have an active and attentive leadership that is open to new challenges and proposals, that promotes union and encourages the involvement of all. We aim to turn AEFML into a project that is embraced by all, enabling students to be more active in the discussion of current issues pertaining to our future, as young people and future doctors. We launched the challenge to make this Association more participatory in the decisions we make. To that effect, we wish to instil a sense of responsibility in each colleague, make decisions together that represent the interests and opinions of all colleagues. It is hard to innovate and reach further, but we intend to improve this school whose history goes back ninety eight years. To this end, we wish to impart the interest in associativism in all students, so that all can become potential representatives of the interests of medical students. In short, we intend to be an open door and an opportunity for medical and personal training. We wish to include all in our problems and activities, which will enable informed and representative decisions. After all, it is in our best interest, and in the interest of all colleagues, to provide a better future for medical education. In this section we continue to divulge online resources, which may be personal web pages, blogs, institutional portals, etc. A large part will be dedicated to the medical sciences. The info is taken from the websites. In order to know our new students and identify their primary motivations and expectations regarding the Integrated Master Degree in Medicine, they were asked to fill the survey “Integrated Master Degree in Medicine – Your choice”. This survey was directed at students who joined FMUL in year 1, for the first time, during the Welcome and Admissions Week. New students were invited to complete the survey at the end of the thematic sessions to present the services. In addition to socio-demographic characterization data, students were asked about their motivations and expectations regarding the Integrated Master Degree in Medicine. The survey had a high response rate as 92% of new students participated in it. To access a brief summary of the main results (read more). The research work being developed by Dr. Sofia Oliveira and Prof. José Ferro, from IMM, regarding advancements on the treatment of Stroke, has had some mediatic coveraage. The newspaper Diário de Notícias (Madeira) and the e-journal Ciência Hoje, too, published some news on this research. The research work being developed by Dr. Sofia Oliveira and Prof. José Ferro, from IMM, regarding advancements on the treatment of Stroke, has had some mediatic coveraage. The newspaper Diário de Notícias (Madeira) and the e-journal Ciência Hoje, too, published some news on this research. Read more here and here. My work at the IMM-Biobank focuses on the monitoring of new projects that require the Biobank to be the drive for sample collecting. Within these projects, and depending on the proposed goals, we provide advice on the best way of sampling according to standard protocols of the Biobank. In doing so, we aim that biomedical research using the IMM-Biobank is progressively rigorous and competitive, leading to high impact publications. It is increasingly acknowledged that in scientific research, collaboration between different laboratories and their teams, often across disciplines and using shared facilities and equipment, can lead to the circulation of new ideas and findings. The IMM-Biobank has fostered the establishment of partnership networks to encourage research at the highest level. Thus, we are involved in bids for collaborative projects nationally. My work at the IMM-Biobank as technical supervisor involves ensuring that nothing goes wrong in the entire process, from sample collection to storage. After being collected, samples are processed, subject to quality control, and the corresponding clinical data is processed, until they are finally stored. In addition, it is necessary to continuously manage the laboratory to ensure that nothing fails and that the work is maintained. The Biobank concept may still be unfamiliar to many people, and some may think it is no more than storing samples in freezers. However, the Biobank is much more than just a room with freezers. One of the great assets of the IMM-Biobank is that its samples are duly organised and have corresponding clinical data. Therefore, the computer system is a key tool for the functioning of the Biobank, as it enables us to manage all data associated with a sample, as well as its entire route up to the box where it is stored. In future, when researchers ask us for those samples, we will be in a position to provide all the information they need to ensure the quality of the sample. Biomedical research in oncology is an ongoing and increasingly demanding challenge. Although cancer is at the top of leading causes of death worldwide, important advancements have been made in recent years, in an attempt to understand the biology of oncogenesis on the one hand, and, on the other, to identify new therapeutic targets. One of the major difficulties in oncology research is obtaining quality clinical samples in sufficient number to produce robust results and conclusions. It is in this context that tumour banks have been set up as structures whose purpose is to provide samples of tumour tissue with quality and in sufficient quantity, without waiving the ethical component, which is essential when working with human samples. It should be pointed out that samples per se mean little if they are not backed by relevant clinical information. My mission in the tumour bank of the IMM-Biobank is to ensure that the entire process, from the identification of samples until the collection of relevant clinical data, is conducted correctly and efficiently, safeguarding the ethical and legal aspects governing the functioning of the IMM-Biobank. This involves ensuring the quality of the stored samples and the confidentially of the clinical data collected, which is crucial to establishing a relationship based on trust with the researchers who in the future will request material for their research projects. Despite being the visible face of the tumour bank of the IMM-Biobank, it is essential to note that the proper functioning of this structure depends on effective relationships and on a multidisciplinary team involving doctors (oncologists, surgeons and anatomic pathologists), nurses and operating assistants. As a member of the technical staff of the laboratory of the IMM-Biobank, my work focuses primarily on the development and maintenance of cell cultures, as well as on implementing protocols for the immortalization of pluripotent stem cells. In addition, I am also involved in the process of receiving and storing all types of biological samples brought to the IMM-Biobank, and in quality control of DNA extracted from the samples. Ensuring they have a good quality assurance is fundamental to the work of researchers requesting the samples stored at the IMM-Biobank. The IMM-Biobank has the huge advantage of focusing on the development of cell cultures and on the immortalization of pluripotent stem cells, which are important particularly for the discovery of new drugs. The technology for generating these cells is advancing rapidly and will provide cells that are physiologically relevant to identify toxic compounds, to validate therapeutic targets and to discover new drugs. The IMM-Biobank enables the development of biomedical, clinical and translational research quickly and effectively, thus contributing to the advancement of knowledge of diseases that have a major impact on health, as well as the development of new diagnostic tests and innovative drugs. The Scientific Committee of the IMM-Biobank comprises researchers and clinicians from the IMM and HSM-CHLN. Its first mission is to monitor the implementation of the IMM-Biobank project, namely the discussion and analysis of operating procedures. As part of the activities of the IMM-Biobank, the Scientific Committee is responsible for reviewing and authorizing requests for the use of samples stored in the IMM-Biobank. As part of the Technical Committee of the IMM-Biobank, my role is to monitor the development of the activity of the biological sample bank from a strictly ethical and legal perspective, in particular ensuring compliance with the legal or regulatory requirements in force for its establishment and operation. To that effect, it is paramount that the IMM-Biobank is able to interact appropriately with all public entities and services with powers and competencies to licence and regulate on this matter, such as CNPD and local or national Ethics Committees, and to ensure that procedures followed at all times fully comply with the legal and constitutional rights of sample donors. He supervises the operation of the IMM-Biobank and coordinates the activities of the Scientific and Technical Committees. Biologist Joana Caetano Lopes manages projects and biochemist Ângela Afonso provides technical support and is in charge of collecting, processing, storing and controlling the quality of the biological samples and of managing the database. Biologist Rita Cascão is responsible for cell culture, while Doctor Joaquim Pereira is in charge of providing medical advice and communication. The IMM-Biobank also has a tumour technical consultant, biologist Ricardo Pires, who advises on collecting, processing, storing, and quality control of tumour samples. She monitors the projects of the IMM- Biobank and advises on the collection and quality of samples. She is responsible for collecting, processing, storing, and controlling the quality of the biological samples and for managing the database. 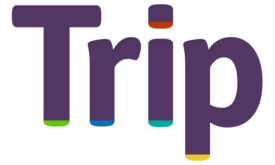 Its mission is to evaluate proposals and authorise the use of samples. Alexandre Mendonça, MD PhD; Dulce Brito, MD PhD; Gabriel Miltényi, MD, PhD; Joana Caetano-Lopes, PhD; Joaquim Ferreira, MD, PhD; Luís Costa, MD, PhD; Madalena Martins, PhD; Ruth Geraldes, MD; Sandra Casimiro, PhD; Sofia Oliveira, PhD; Tiago Outeiro, PhD. Its mission is to guarantee the legal and technical framework to ensure the proper functioning of the IMM-Biobank. Andreia Machado, BSc; Alexandra Maralhas, BSc; André Fialho, BSc; Sofia Oliveira, BSc; Filipa Nunes, PhD; Margarida Gago, BSc; Tito Silva, PhD. The IMM-Biobank is a structure set up by the Institute of Molecular Medicine (IMM) of the Faculty of Medicine of the University of Lisbon, which receives and stores a vast collection of biological samples donated on a volunteer basis, aiming at boosting biomedical research. With over 26 000 samples (26 323) from 3 252 donors, including blood, saliva, urine, bone, tumour tissue, and corresponding clinical data, the IMM-Biobank is a unique platform that provides technical support to research on the origin of diseases which have huge impact on the health of citizens, such as cancer and osteoporosis. The existence of more than one sample from the same donor and of samples from both healthy donors and sick ones, and the availability of clinical data on the donors may be an important resource in identifying new diagnostic and prognostic tests and innovative drugs. Recently, the IMM-Biobank won the 2nd place in the Biotechnology category of the “Hospital of the Future Awards 2001/2012”, which are jointly organized by the Hospital of the Future Forum and SINASE and aim to recognize and reward people and organizations that have contributed the most to development in health organizations in Portugal. Join the IMM-Biobank, make it a cause! The stored samples result from voluntary donations from people who wish to support the efforts of IMM-Biobank to boost and sustain scientific knowledge, which the entire population may benefit in the future. The success of the IMM-Biobank depends on the availability of samples from a wide range of the country’s population. In addition to the donation of blood samples, the IMM-Biobank accepts donations of human tissue resulting from waste from biopsies or surgery. Samples collected by the IMM-Biobank are cryopreserved (stored at -80ºC and/or -196ºC temperatures) and are available to the scientific community in order to facilitate and develop national and international cooperation. The donor’s clinical data collected at the time of sampling, which is essential to its use for research purposes, is encrypted, and the IMM-Biobank guarantees strict confidentiality of all personal data collected. In addition to storage space, the IMM-Biobank provides other services, such as the automatic extraction of DNA and RNA of various types of samples and cultured cells. • Keeping and taking care of your sample with utmost safety and confidentiality. • Gathering as many samples and respective clinical data as possible, increasing the chances of research on diseases with major impact on the health of citizens. • Making the samples available only to research teams that possess the human and technical conditions that allow fostering scientific development. • Promoting the advancement of science according to the principles governing the IMM-Biobank, namely scientific rigour, exemption and respect for human beings. • Taking biomedical research conducted in Portugal to the highest international level. • Contributing to the promotion of health and well-being of all. The collection and storage of biological samples by the IMM-Biobank is authorized by the Ethical Committee of the Northern Lisbon Hospital Centre – Santa Maria Hospital. The collection and processing of clinical data associated to samples has to be approved by the National Commission for Data Protection. The IMM-Biobank possesses state-of-the-art software for managing samples and clinical data, adapted according to their specific needs. Stored biological samples are protected by a 24 hour security system and subject to strict access rules. Samples are made available for research following authorization by the Ethics Committee, which validates the scope and the purpose of the scientific research, and in accordance with the Scientific Committee, which ensures the most appropriate use for each sample. The IMM-Biobank is directed by Doctor João Eurico Fonseca, who runs and supervises the operation and coordinates the Scientific and Technical Committees. Biologist Joana Caetano Lopes collaborates in the management of projects and biochemist Ângela Afonso provides technical support, being in charge of collecting, processing, storing, and controlling the quality of the biological samples and of managing the database. Biologist Rita Cascão is responsible for cell culture, while Doctor Joaquim Pereira is in charge of medical counselling and communication. The IMM-Biobank also has a tumour technical consultant, biologist Ricardo Pires, who advises on collecting, processing, storing, and quality control of tumour samples. The IMM-Biobank is part of the Lisbon Academic Medical Centre (CAML), which brings together on the same campus a medical school (the Faculty of Medicine of the University of Lisbon – FMUL), a teaching hospital (Northern Lisbon Hospital Centre – Santa Maria Hospital) and a scientific research institute (Institute of Molecular Medicine – IMM). It is a structure of the IMM, a non-profit entity that enjoys a strategic position that can enhance new forms of scientific cooperation. The IMM is a scientific research institution of reference in Portugal. It has the status of Laboratory Associated to the Ministry of Education and Science. It is a non-profit organization funded by governmental public funds, the European Union and private foundations. The mission of the IMM is to foster biomedical research and contribute to the understanding of disease mechanisms and to the development of new therapeutic approaches and diagnostic tests. The Lisbon Academic Medical Centre comprises the Faculty of Medicine of the University of Lisbon, the Northern Lisbon Hospital Centre – Santa Maria Hospital and the IMM. It aims to develop an integrated perspective of medicine by fostering research from bench to clinical practice. The Faculty of Medicine of the University of Lisbon is directed by Professor J. Fernandes e Fernandes (Director). The Northern Lisbon Hospital Centre – Santa Maria Hospital is directed by Dr João Correia da Cunha (Chairman of the Board of Directors). 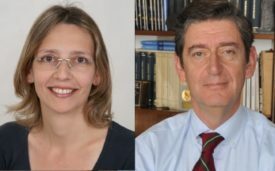 The Institute of Molecular Medicine is directed by Professor João Lobo Antunes (President) and by Professor Maria Carmo Fonseca (Executive Director). The IMM-Biobank is directed by Professor João Eurico da Fonseca (Director). The IMM-Biobank is located in the Egas Moniz building of the Faculty of Medicine of the University of Lisbon, on the campus of Santa Maria Hospital in Lisbon. Donate a blood sample and support the dissemination of the IMM-Biobank! IMM-Biobank, closer to you than you think! The IMM-Biobank is part of the activities promoted and organized by the Lisbon Academic Medical Centre (CAML), which brings together in the same campus a medical school (Faculty of Medicine of the University of Lisbon – FMUL), a university hospital (Northern Lisbon Hospital Centre – CHLN, Santa Maria Hospital – HSM) and a research Institute (Institute of Molecular Medicine – IMM). Formerly presented on 3 October 2012 at the Main Auditorium of the Faculty of Medicine of the University of Lisbon, this unit housed at the Egas Moniz Building will store biological samples for use by Portuguese or foreign scientists in their research about neurological diseases and cancer. Biobanks are strategic tools for the advancement of medicine and translational research. The IMM-Biobank is undoubtedly a major contribution to the promotion of health and well-being of society. In addition, it has the potential to act as a catalyst for new opportunities for national and international cooperation between researchers, research institutions and the pharmaceutical industry. In this issue, the FMUL Newsletter invited the IMM-Biobank team to present the unit, its organisation and main objectives to us. The newsletter aims in this space give to the readers a perspective of scientific production held at the Faculty of Medicine, University of Lisbon / Santa Maria Hospital / Institute of Molecular Medicine. Includes original articles and reviews in the period November to December 2012. • Neutel D, Miltenberger-Miltenyi G, Silva I, de Carvalho M (2012). Chorea-acanthocytosis presenting as motor neuron disease. Muscle Nerve 45: 293-295. Citações = 1 (JIF: 2.367). • Almeida V, Ohana B, de Carvalho M, Swash M (2012). Patrikios syndrome: two patients with treatable flail-leg weakness. J Clin Neurosci 19: 318-321 (JIF: 1.271). • de Carvalho M (2012). Editorial. Curr Opin Neurol (Edição Portuguesa). • de Carvalho M and Swash M (2012) Fasciculation potentials: still mysterious Clin Neurophysiol (Editorial) 123: 227-228 (JIF: 3.406). • Pinto S, Swash M, de Carvalho M (2012). Respiratory exercise in amyotrophic lateral sclerosis. Amyotr Lat Scler 13: 33-43 (JIF: 3.397). • Lopes de Almeida JP, Silvestre R, Pinto AC, de Carvalho M (2012). Exercise and amyotrophic lateral sclerosis – a review. Neurol Sci 33: 9-15 (JIF: 1.315). • Peter P, Sharon A, Borasio GD, de Carvalho M, Chio A, Van Damme P, Hardiman O, Karen M, Petri S, Pradat P-F, Silani V, Barbara T, Wasner M, Markus W (2012). EFNS guidelines on the clinical management of Amyotrophic Lateral Sclerosis (MALS) – revised report of an EFNS task force. Eur J Neurol 19: 360-375 Citações = 5 (JIF: 3.692). • Ostrowska M, de Carvalho M (2012). Prognosis of phrenic nerve injury following thoracic interventions: 4 new cases and a review. Clin Neurol Neurosurg 114: 199-204 (JIF: 1.303). • Rodrigues SM, de Carvalho M, Mestre T, Ferreira JJ, Coelho M, Peralta R, Vale P (2012). Paralytic shellfish poisoning due to ingestion of Gymnodinium catenatum contamined cockles – application of the AOAC HPLC official method. Toxicon 59: 558-566 (JIF: 2.451). • Vasconcelos A, Abecasis F, Monteiro R, Camilo C, Vieira M, de Carvalho M, Correia M (2012). A 3-month-old baby with H1N1 and Guillain-Barre syndrome. BMJ Case Rep pii: bcr1220115462. doi: 10.1136/bcr.12.2011.5462. • Pinto S, Pinto A, de Carvalho M (2012). Decreased heart variability predicts death in amyotrophic lateral sclerosis. Muscle Nerve 46:341-345 (JIF: 2.367). • Conceição I, NZwalo H, de Carvalho M (in press). Coexistence of transthyretin familial amyloid polyneuropathy and hereditary neuropathy with liability to pressure palsy. Clin Neurol Neurosurg (JIF: 1.303). • NZwalo H, de Carvalho M (2012). Long-term survival in a patient with amyotrophic lateral sclerosis and respiratory presentation (letter). Amyotr Lat Scler 13:396-397 (JIF: 3.397). • de Carvalho M (in press). Estimating the value of estimation. Clin Neurophysiol (editorial) (JIF: 3.406). • Costa J, Swash M, de Carvalho M (in press). The Awaji criteria for the diagnosis of ALS: a systematic review. Arch Neurol (JIF: 7.584). • de Carvalho M , Turkman A, Swash M (in press). Motor unit firing in amyotrophic lateral sclerosis and other upper and lower motor neurone disorders. Clin Neurophysiol (JIF: 3.406). • Pinto S, Pinto A, de Carvalho M (in press). Phrenic nerve studies predict survival in Amyotrophic Lateral Sclerosis. Clin Neurophysiol (JIF: 3.406). • de Carvalho M (2012). Does Awaji decrease diagnostic yield in ALS? (letter). Muscle Nerve 46:142-143 (JIF: 2.367). • Chester C, de Carvalho M, Miltenberger G, Pereira S, Dillen L, van der Zee J, Broeckhoven CV, de Mendonça A (in press). Rapidly progressive frontotemporal dementia and bulbar amyotrophic lateral sclerosis in Portuguese patients with C9orf72 mutation. Amyotr Lat Scler (JIF: 3.397). • Pena MJ, Ravasco P, Machado M, Pinto A, Pinto S, Rocha L, de Carvalho M, Cortez Pinto H (2012). What is the relevance of percutaneous endoscopic gastrostomy on the survival of patients with amyotrophic lateral sclerosis? Amyotr Lat Scler 13:550-554 (JIF: 3.397). • Mestre TA, Lang AE, Ferreita JJ, Almeida V, de Carvalho M, Miyasaki J, Chen R, Fox SH (2012). Associated movement disorders in orthostatic tremor. J Neurol Neurosurg Psychiatry 83:725-729 (JIF: 4.764). • Almeida V, de Carvalho M, Scotto M, Pinto P, Pinto A, Ohana B, Swash M (in press). Primary lateral sclerosis: predicting functional outcome. Amyotr Lat Scler (JIF: 3.397). • Lopes de Almeida JP, Pinto A, Pinto S, Ohana B, de Carvalho M (2012). Economic Cost of Home-Telemonitoring Care for BiPAP-assisted ALS Individuals. Amyotr Lat Scler 13:533-537 (JIF: 3.397). • de Carvalho M (in press). Testing upper motor neuron function in amyotrophic lateral sclerosis: the most difficult task of neurophysiology. Brain (JIF: 9.457). • Pinto S, de Carvalho M (in press). Can inspiratory muscle training increase survival in early-affected Amyotrophic Lateral Sclerosis patients? Amyotr Lat Scler (JIF: 3.397). 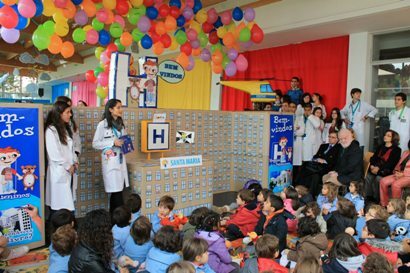 The 11th Edition of the Hospital for the Little Ones took place between 26 November and 1 December and was organized by the Students’ Association of the Faculty of Medicine of Lisbon (AEFML). 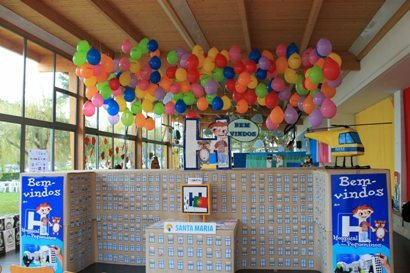 As usual, the event was held at the Refectory of the Social Services of the University of Lisbon, due to its central location on the university campus and in the city of Lisbon, which makes it easier for children to attend the Hospital for the Little Ones. 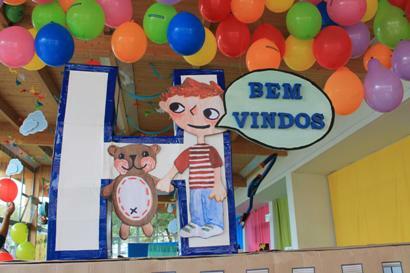 This project was initiated by the European Medical Students’ Association (EMSA), and its primary objective is to reduce the anxiety children feel when they have to resort to health care, either due to illness or for routine check-ups, thereby facilitating their relationship with all health professionals, ultimately contributing to the well-being of children. In order to attain this goal, it involved the participation of students of the Faculty of Medicine of the University of Lisbon, of the Faculty of Pharmacy of the University of Lisbon, of the Faculty of Dental Medicine of the University of Lisbon, and of the Higher College of Nursing of Lisbon. 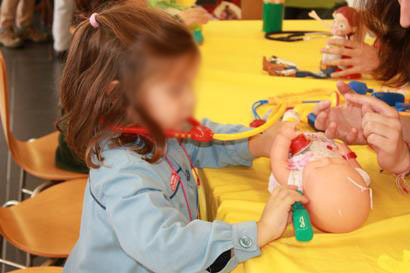 Through role playing and drama, medical practices and concerns were transferred to the small dolls brought by the children, demonstrating that resorting to health professionals takes place in a protected environment and aims to promote growth and healthy living. As they came in the Hospital for the Little Ones, children confronted their dolls with a situation very similar to the one they are confronted with in a Hospital ER: they waited in a sitting area which, somewhat contrary to what happens in real situations, is fun and much less boring than any other hospital in the country. They showed some embarrassment when they went through screening and for the first time needed to explain the clinical history of their dolls, some of them providing a history rich in symptoms, many of them already experienced by the children themselves. As they became less anxious, children went through medical consultations where they checked the temperature, auscultated, tested reflexes and actively interacted in the healing of their “small friends”; they were subsequently referred for clinical tests where they discovered the meaning of “disinfection” and that needles and syringes are just instruments used for the purpose of caring. 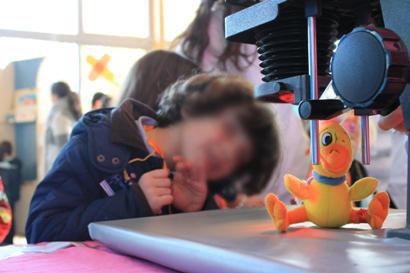 The next step was imaging, and it is almost always a stage of wonder and discovery, as children realize the importance of X-rays and other imaging techniques. After all the additional diagnostic tests, one of the most interactive moments takes place – surgery – when children feel the responsibility and seriousness of a surgical treatment, dress like surgeons and use materials as close to real ones as possible, framing the situation on representation. Following the complex procedure, children accompanied their dolls to the treatment room where they recover from the medical acts performed on them. And like in a typical visit to Hospital, the next step was the visit to the pharmacy, where children come into contact with the various formulas for administering therapy. Finally, to draw children’s attention to the importance of oral health and healthy eating, the last two steps of the visit to the Hospital for the Little Ones involved going to the Dentist and to the Nutritionist. At the dentist, children taught their dolls how to brush their teeth properly, with the assistance of the dentist. At the nutritionist, the children themselves indicated which foods are healthy, and through dialogue and simple explanations, realized the importance of food diversity. It is also imperative that all who work, or will work in future, with children may acquire the skills to inter-relate with them, respecting their space and conquering it. These skills not only facilitate patient-doctor interaction but also the perception of symptoms, enabling earlier and more effective diagnosis and treatment. This activity was attended by about 2500 children, an increase on previous years, which attests the growing interest of schools and families on the project and demonstrates that a better understanding of the “world of health” is an asset for children. The Welcome Session for New International Students, University of Lisbon, took place on September 20, 2012 at the Rectory. In addition to several presentations from members of the University, the event’s program also included music and many surprises. Students who attended also had the opportunity to meet some members of Rectory Team. Many took part in this event, as you can see in the photos below, and in a short interview with Professor Luísa Cerdeira, Pro-Rector at the University of Lisbon. The Welcome Session for New International Students, University of Lisbon, took place on September 20, 2012 at the Rectory. In addition to several presentations from members of the University, the event’s program also included music and many surprises. Students who attended also had the opportunity to meet some members of Rectory Team. Many took part in this event, as you can see in the photos below, and in a short interview with Professor Luísa Cerdeira, Pro-Rector at the University of Lisbon. Read more. The First Workshop of the University Geriatrics Unit (UUG) was held on 20 October 2012 at the Grand Auditorium of the Egas Moniz Building. This important event was attended by the Director of the Faculty of Medicine of the University of Lisbon (FMUL), Professor José Fernandes e Fernandes, who mentioned the significance of Geriatrics for medical education and the importance of disseminating the scientific and technical contents of this first workshop of the UUG, wishing the 70 people participating in the event a fruitful work. In the first speech, Professor João Gorjão Clara defined the characteristics of elderly patients that justify increasing interest in geriatrics worldwide, and the need for new doctors to be better prepared for this situation, already present today. After a short coffee break, Dr Teresa Fonseca addressed the topic: “Comprehensive Geriatric Assessment (AAG)”, the cornerstone of geriatrics, and spoke about the various assessment instruments used in outpatient consultation which allow defining pathologies, social condition, psychic and cognitive status, motor autonomy, and nutritional characteristics. The AAG enables identifying the problems and subsequently establishing an optimized programme to solve them. Following the lunch break, Nurse Carla Pereira talked about the geriatrics consultation and about its specificities, particularly what makes it so different from conventional medical consultations, justifying its worth in the undeniable useful results in the care of elderly patients. In the roundtable that followed, the participants of the “University Geriatrics Unit Multidisciplinary Team”, both in terms of consultations and home visiting, explained their personal experiences in various areas, namely in the field of social welfare (Dr Paula Ricardo), nursing intervention (Nurse Sílvia Matias), pharmaceutical counselling (Dr Ana Matias), doctor’s experience (Dr Ana Miranda), intervention of the nutritionist (Dr Guiomar Ferreira), support of the psychologist (Dr Elsa Reis), and the involvement of the physiotherapist (Ana Rita Amaro, MSc.). After the coffee break, Dr Sofia Duque, guest assistant lecturer of the Introduction to Ageing Diseases Disciplinary Area (Core subject of FMUL’s Integrated Master Degree in Medicine) gave the closing conference on the topic “Geriatrics Units”. In addition to referring to her personal experience at the Geriatrics Unit of San Carlos Hospital in Madrid, where she carried out her internship, she mentioned the effectiveness of the geriatrics units compared to conventional hospital units for elderly patients. Professor João Gorjão Clara closed the workshop by welcoming the presence of participants on a warm sunny Saturday in October and rejoicing at their interest in discussing the various topics covered throughout the event. The 3rd Lisbon International Forum on Vascular Diseases took place on 7-8 December at the Mariott Hotel in Lisbon. It was attended by the Health Minister, Dr Paulo Macedo, by the President of the Board of Directors of HSM-CHLN, Professor J. Correia da Cunha, by the President of the Portuguese Society of Angiology and Vascular Surgery, Dr Isabel Cássio, and by Professor Márcio De Castro Silva, Honorary President of the Forum. The objectives of this edition were: firstly, to enable direct contact among internationally renowned specialists in this field, thus contributing to the academic and professional development of experts, interns and the entire healthcare team involved in this activity. Secondly, to give the community of experts in vascular diseases the opportunity to publicly present their activity to their national and international peers, in an exercise of scientific and professional responsibility for public accountability. Professor Fernandes e Fernandes, Full Professor of FMUL, Director of the Vascular Surgery Unit of HSM-CHLN and also Director of the Lisbon Cardiovascular Institute, delivered the opening speech and highlighted the importance of these scientific meetings “(…) We live in a new era in Vascular Surgery, which forces us to careful reflection and to objective critical analysis of our activity and our responsibility to patients and society”.